It is true that with the coming years, search engine optimization will continue to grow and also play a major role in the success of nearly all online businesses. Since a vast majority of people today performs research online before they purchase any products or services, gaining more and more visibility on the search engines is becoming vital. It is stated that about 43% of all website traffic comes from SERP referrals and visitors are more likely to click on the site that appears organically on the result page rather than on a paid advertisement. Online business owners whether big or small should always ensure that they follow some of the best recommended SEO practices to remain successful. This includes information about the site like address, phone numbers, reviews, proper information about their products or services and etc. 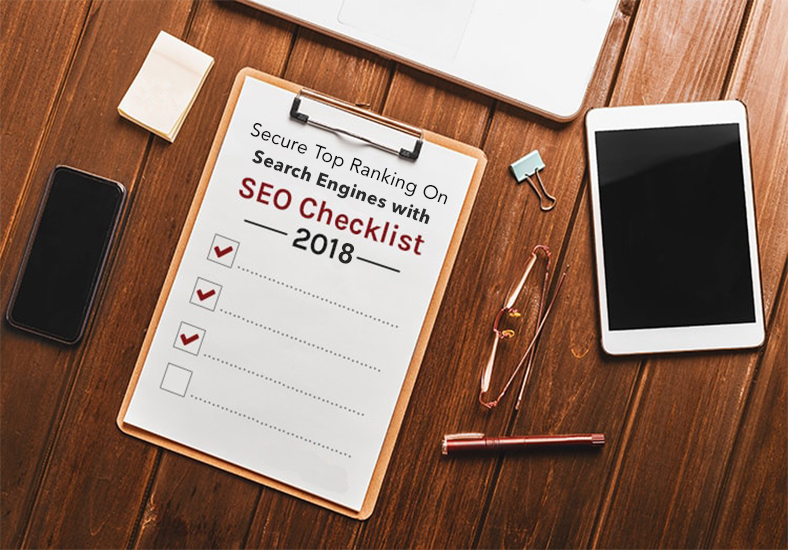 Keeping up with the Google’s algorithms is a must and the points that I will discuss in this SEO checklist will help you to stay on the right path and enjoy the advantages of a search optimized website. Google Analytics: This tool will help you to keep a track of your website traffic and gain great insights into your visitors. Yoast SEO Plugin: This will help you to optimize your web content, sitemap, keywords, metadata and many more and this is a must if you have a WordPress website. Google Search Console: This is a free tool that is offered by Google to the webmasters to get data about their website’s organic performance and status on Google’s search engine. You should adopt the basic strategies of SEO based on your business, size and scope. Create a robots.txt file: A robots.txt file is a document that is filled with codes that the search engines or internet based services use as instructions. Without these files, your site may not get indexed in the search engines. Create a Sitemap.Xml file: This acts like a reference tool for the search engines and it can affect the crawl priority for the pages and it is important for you to instruct the tool to re-index certain pages first. Create crawl able and easily accessible URL: It is important that the Google bot’s spiders are able to come to your web pages and understand the content on it. So, the text or images that are embedded should be search engine friendly. Check website loading speed: Website loading speed plays a great role in attracting the visitors. If they find that the pages take more than 5 seconds to load, they will probably move away. Since Google uses page load speed as an important component for overall ranking, it is important to maintain a good speed. Responsive design: With more than half of the web traffic coming from the mobile devices, ensure that your website accommodates a responsive design principle so that visitors can easily access the site from any device. Check broken links and codes: Another most important thing to consider is the broken link that leads to the 404 error page. This happens when most of your content links to a page, which is removed or its URL has changed. Broken codes also hurt the visitor’s experience and can reduce your SERP ranking. Once you have followed the above SEO checklist, you can execute it to earn highly relevant and high quality visitors across varied channels.